The places music can take us—past, future, centered in the present—are amazing, but the capacity of music to bring people together is the real gift. 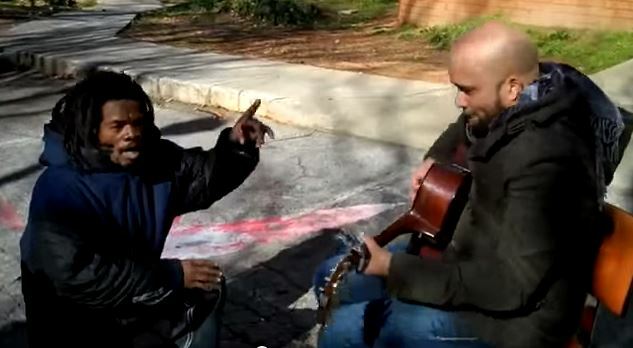 This musician, Carlos Whittaker, was filming a video when a homeless man, Danny, entered the scene. The connection didn’t need direction. The vibe wasn’t forced. Two musical beings found each other and an amazing, awe inspiring, goosebumps inducing moment was captured.